Let's get ready to rumble!!!!! Kentucky Style that is. 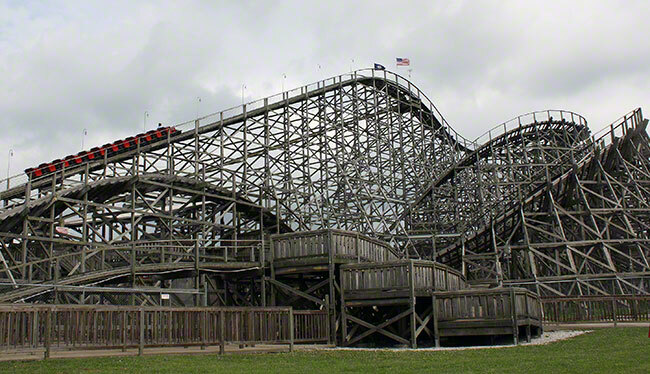 Stop #2 on Bond and my Holiwood Nights weekend trip was Beech Bend Park in Bowling Green, Kentucky. 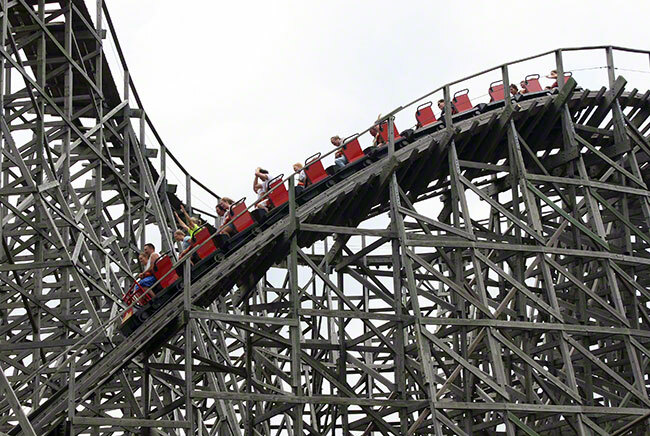 I have been to Beech Bend a few times and Bond visited for the Kentucky Rumbler's legendary "Construction Tour" where I ended up being one of it's first riders. 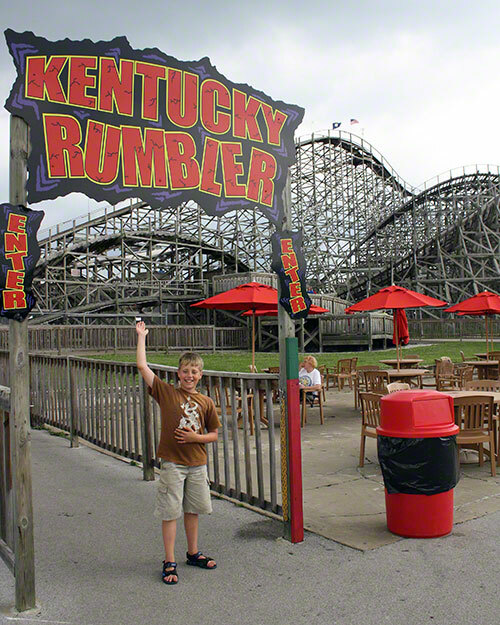 Bond missed out then as he wasn't riding yet so this year we went back so he could experience the Kentucky Rumbler and the rest of Beech Bend. 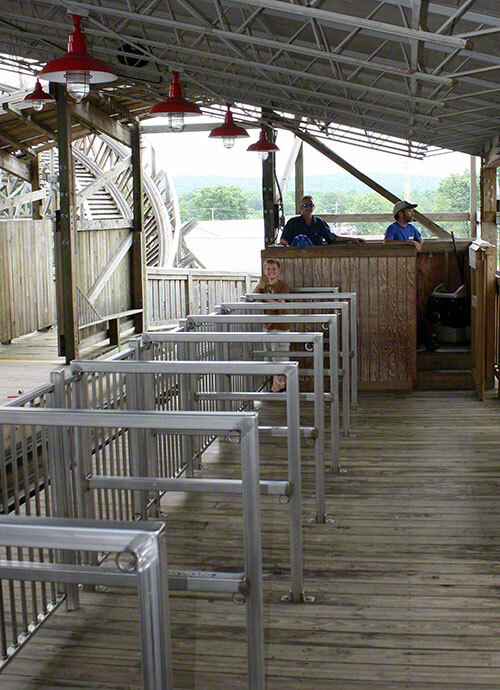 As you can see we didn't have much of a wait for the Rumbler, in fact Bond and I had the Rumbler all to ourselves for our first ride of the day. Bond took the front and I took the back. 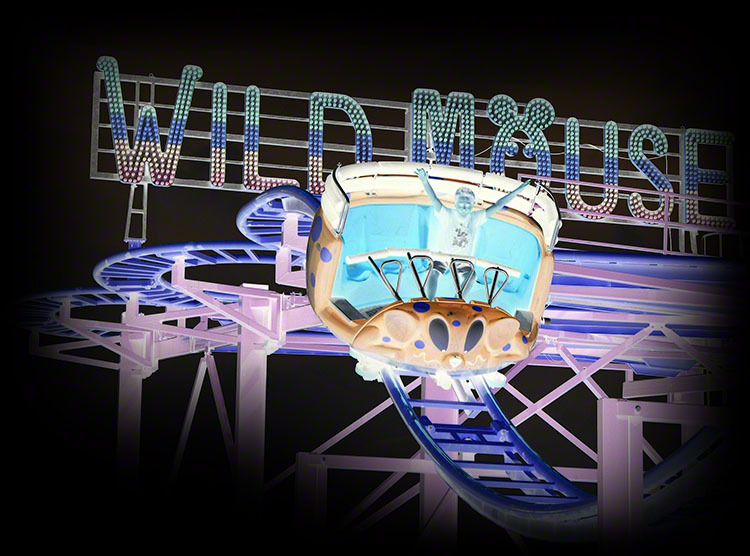 The Kentucky Rumbler is a fun solid thrill machine from the top of it's eighty foot drop and all the way to the end of it's 2827 feet of twisting track.